I have had this bottle open for a year now and just got back to it. With only half the bottle left it has improved from the time I first opened it. I know it has because I finished the second half relatively quickly. I see this in more cases than not, that some of the unpleasant tastes seem to fade with a little time. David Stewart master distiller for Balvinie says the Double Wood is aged for 12 years in American bourbon casks. After 12 years only some of barrels are transferred into Sherry Butts for an average of 9 months. The sherry butts are combined with remaining barrels to marry for an additional period of time. The fact that not all the barrels go into sherry butts along with the moderate time in sherry butts gives the Double Wood a lighter sherry note. It’s this lighter sherry note that allows the American oak barrels to come through, tastes of vanilla and honey. The sherry adds the pleasing dried fruit flavors and a spicy peppery kick I really enjoy in any whisky. Smell: Light sherry with a slight cola note is the first thing that hits the nose, an appealing sent. With more time to air in the glass the neutral scotch smells come out, malted barley and the vanilla and honey from the American barrel. I can smell orange zest, green apples, candied fruit, and bubble gum. Palette: Double wood has a good malted flavor along with a bran cereal taste. A little oily mouth feel but in a nice way. It has light floral notes. It has a custard taste and very pleasing pepper burn that I look for in any whisky. Finish: The finish is moderate only because all the flavors are on the lighter side. It’s not a cherry bomb that lasts for 15 minutes. It’s a well balance collection of flavors that fade into a neutral scotch finish. Conclusion: The biggest complaint about this scotch is that there’s not enough sherry to it. It is exactly this that I like about it. It’s not a one dimensional cherry bomb like some. Double Wood is a complex and well balanced scotch with the all its flavors on the lighter side. Some of the lighter flavors have to be sought out. DW is not going to blow you away but sometimes I don’t want to be blown away. Price is another added virtue, it’s reasonably affordable and that merits an extra point in my book bringing it to a 90. There is a good balance to this malt for what it is, a Sherried scotch. The Double Wood has no peat, smoke or salt to it at all. It’s a lightly sweet, floral, fruity, malted, peppery scotch. I decided to add 5ml of Laphroaig Ten to 90 ml of the Double Wood and it added another light layer of complexity I really enjoyed. I had, and reviewed, a very nothing-y bottle of Doublewood which also became much better after a period of oxidation exceeding a year. I have also tasted much better Doublewood immediately upon opening the bottle than the first bottle of it I had. Pity I re-gifted the second, and better, bottle before tasting it. If you get a chance at finding an old bottle of Balvenie 10 yo Founders Reserve, pick it up. It is a lot better than Doublewood. It’s like that with scotch, flavor profiles change or my tastes seem to change and then they discontinue them. 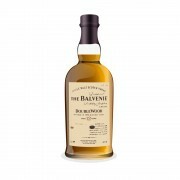 I just read your review on the Balvenie 10y Founders Reserve and your description “This is a beautiful little whisky, and I think that it is enjoyable by any whisky lovers who can appreciate subtlety and complexity.” is how I would describe this DW. If I find one I’ll grab it. It’s funny what you can find in an out of the way liquor store. While on vacation driving though the back roads of Tennessee I came across a liquor store that had an old discontinued bottle of Old Charter 13y, I snapped it up. 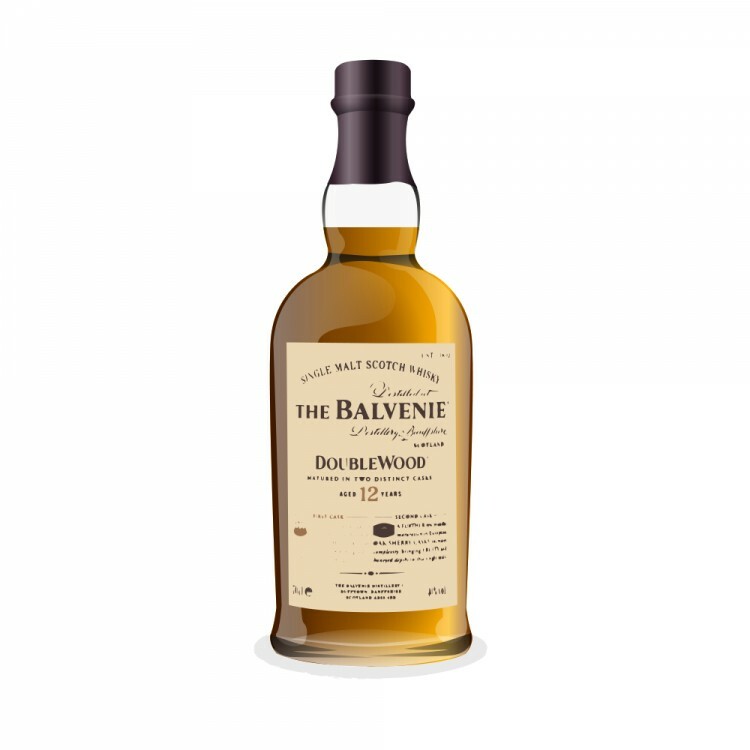 Love your review of the Balvine 12yr Doublewood. This is a great whisky I always have some of this in my cabinet, great to share with freinds and guest. I really recomend for a every day dram.